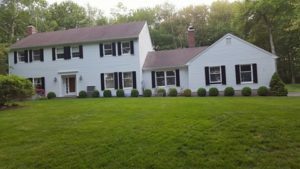 Are you looking for Darien painters you can trust for your home or business? At F&F Painting Co, LLC we use our own tried and tested methods to professionally paint and decorate your home. We never cut corners, so you can be sure that your newly painted room or exterior will last for many years to come. We use only the best quality materials to provide you with a smooth, professional finish you’re sure to love. When painting the interior or exterior of your property we take great pride in producing superior results for you, no matter how big or small the project. Take a look in our gallery to see for yourself! We use a tried and tested method to ensure a smooth and professional finish that will transform any home or business. Whether you are looking for a new coat of paint for the inside of your house or a new addition, we have the experience you need to get the job done right! Our experienced team work carefully to cause minimal disruption, getting the job done quickly, without compromising on quality. As standard we always take steps to protect and clean up as we go. You can rest assured that we will take every measure to protect your property and clean as we go along. We protect all finished surfaces prior to any work commencing, this includes papering of all floors, taping of all windows, covering of all tiles and stone surfaces, protection of all decorative hardware and plumbing fixtures etc.. We also clean up and remove of debris daily to avoid leaving a big mess for you to clear! We’re More than a Painting Company.. Call your Darien painters today! We strive for perfection in everything we do.. We are a small, husband and wife team with over 10 years painting experience! Copyright © 2016 F and F Painting Co. All rights reserved.